Britain’s biggest police force is facing criticism after it let looters run riot in north London for almost 12 hours, in some of the worst scenes of street disturbances seen in recent years. 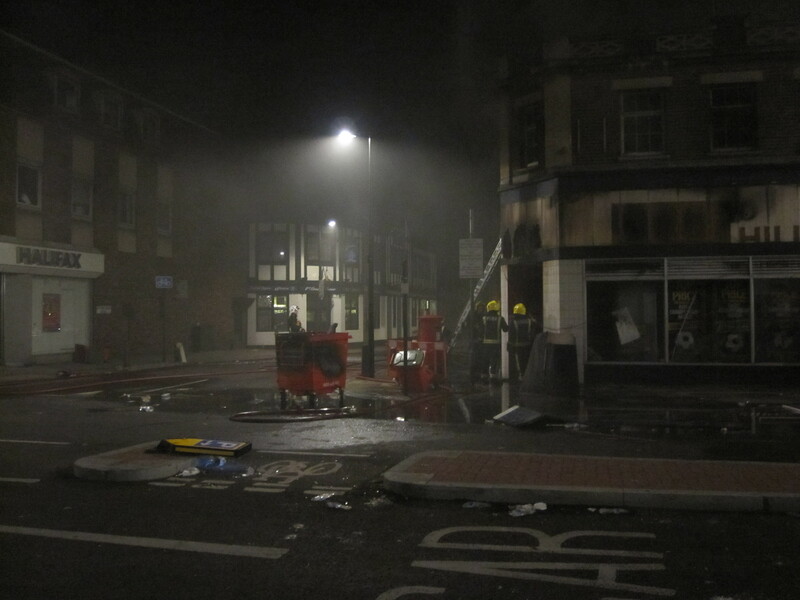 The Metropolitan Police said it was focused on containing violent disorder in Tottenham on Saturday night, which left dozens of officers injured and saw squad cars, shops and flats burned to the ground. But its tactics meant gangs of youths were free to break into stores at nearby Tottenham Hale retail park and in Wood Green, with looters forming an orderly queue in broad daylight to steal from a sports shop. Riot police did not intervene to stop the looting in some areas until 7.30am the following morning, almost 12 hours after the riots began, and last night there were fresh disturbances in Enfield. Police defended their actions, saying that their priority was to avoid loss of life in the violent clashes that started after a peaceful gathering outside a police station, held to protest a fatal shooting by Met officers on Thursday. Metropolitan Police Commander Adrian Hanstock said that police took a decision to devote resources to the scene of the riot rather than the looting. The 29 year-old suspected gang member was killed in a taxi on Thursday evening after a surveillance operation. The Independent Police Complaints Commission is investigating amid allegations that officers opened fire first, although it was first claimed that a policeman had been shot and only had his life saved when a bullet hit his radio. The IPCC was last night forced to deny internet internet rumours that Mr Duggan had been “assassinated” by officers in an execution-style killing where he was shot in the head. It was widely rumoured that the riots were then triggered by police violence towards a 16 year-old girl at the protest. Police say there are “conflicting responses” but some of those at the scene claimed the girl threw an object at the line of officers and was knocked down, prompting retaliation from the crowd, and the allegation spread not only on the street but also on the internet as protesters used mobile phones to keep in touch. 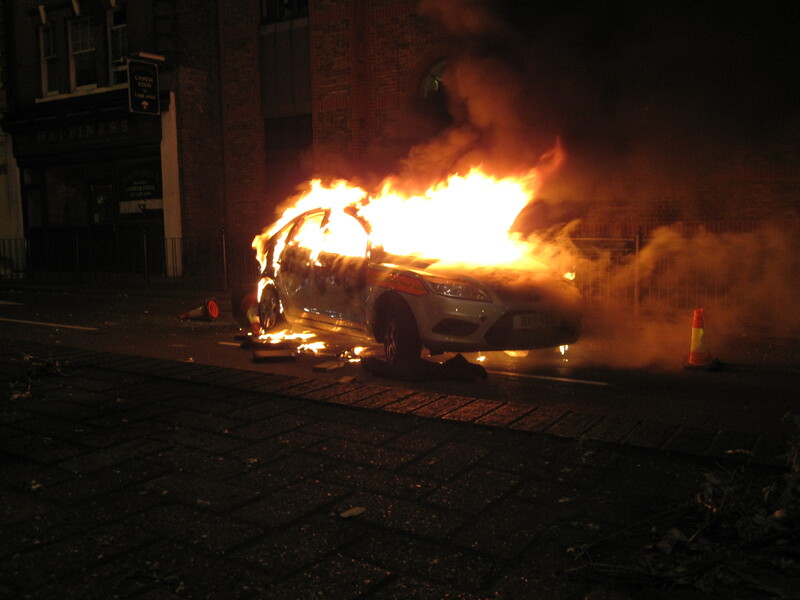 By 8.20pm, two police cars had been set alight further up the high street and small numbers of policemen in riot gear were struggling to control groups of youths, faces hidden by hoodies and bandanas, who began targeting nearby properties. London endured a second night of violence last night as questions were raised about the shooting by police of a suspected gangster. A mob of 200 anarchists smashed their way into shops and lobbed concrete slabs at police cars following Saturday’s riot in Tottenham. And in a dramatic development, the killing of Mark Duggan came under fresh scrutiny. There were claims that a bullet found lodged in a police radio was a force issue bullet, meaning Duggan had not fired on officers as police suggested. 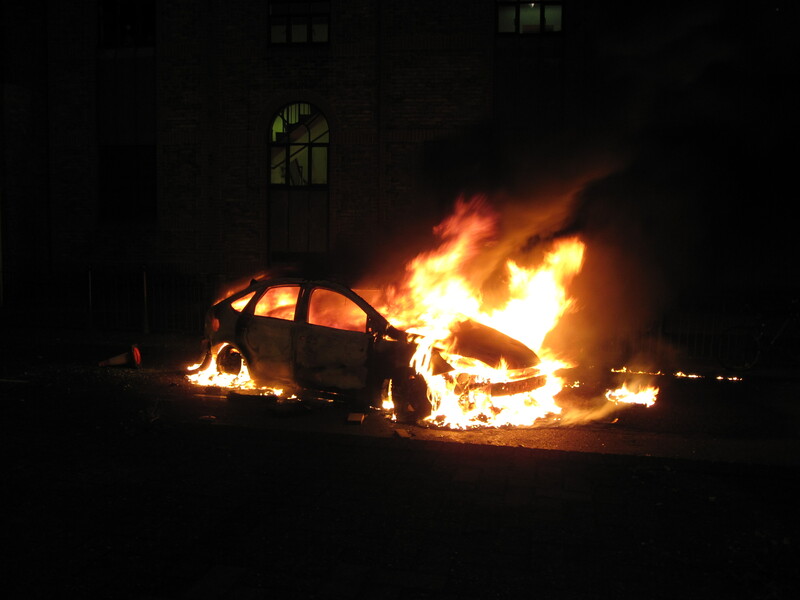 The riots started on Saturday night in an area of North London with a particularly resonant history of violence. In 1985 Broadwater Farm estate, where Mr Duggan hailed from, was the scene of devastating riots when a police officer was hacked to death. Over the weekend, the streets of Tottenham were once again ablaze as crowds of 500 marauding yobs set fire to police cars, a double decker bus and buildings and shops. Twenty-six police officers were injured and eight were taken to hospital in the clashes after petrol bombs, bricks and bottles were hurled at them. One suffered serious head injuries when he was hit in the face with a brick. Another was speared with a scaffold pole in the stomach, causing serious internal injuries. Under cover of darkness, masked thugs looted trolley loads of luxury goods including plasma TVs and stereo systems. Teenagers and adults turned up in cars and filled their boots with stolen items from a retail park, unimpeded by police. Last night 55 people had been arrested for offences including violent disorder, burglary and theft. The riots erupted hours after a protest vigil demanding ‘justice’ over the shooting of 29-year-old Mr Duggan by officers from the Metropolitan Police’s elite firearms squad. The shooting provoked fury as internet rumours spread suggesting the father of four had been executed after he put his gun on the ground. Met Commander Adrian Hanstock said: ‘Last night’s disorder and violence in Tottenham was completely unacceptable. ‘There was no indication that the protest would deteriorate into the levels of criminal and violent disorder that we saw. ‘We believe that certain elements, who were not involved with the vigil, took the opportunity to commit disorder and physically attack police officers, verbally abuse fire brigade personnel and destroy vehicles and buildings.’ He said that the officers concentrated on stopping violence which took precedence over looting. Local MP David Lammy said the community ‘had the heart ripped out of it’ by ‘mindless, mindless people’. The outbreak of violence has raised fears about whether the Metropolitan Police would have adequate resources to cope during the Olympics if there were a similar attack during the 2012 Games. Last night Scotland Yard had to call in reinforcements from Thames Valley, Essex, Surrey, City of London and Kent police after 200 thugs smashed their way into shops in Enfield, north London. Police said three officers were injured in a separate incident at Brixton, south London. Initial ballistics tests on the bullet that lodged in a police officer’s radio when Mark Duggan died on Thursday night show it was a police issue bullet, the Guardian understands. The Guardian’s crime correspondent, Sandra Laville, reports: The revelation will fuel the fury in Tottenham about the killing of Mark Duggan by armed officers. It also undermines suggestions that there was an exchange of fire between Duggan and the police before he died. The bullet which was found lodged in the radio of one of the officers at the scene is still undergoing forensic tests. But reliable sources have said the first ballistics examinations suggested it was a police issue bullet. These are very distinct as the Metropolitan Police uses dum dum type hollowed out bullets designed not to pass through an object. The early suggestion from the IPCC was that the Met officers had returned fire after someone in the minicab opened fire. But the result of the ballistics early test suggests both shots fired came from the police. The Guardian’s Matt Taylor reports from Brixton: In Brixton the mood among the hundreds of people still on the streets threatened to turn ugly earlier when a young man was bundled to the ground and arrested by police who arrived on the High st in three vans. The man was chased and dragged to the ground drawing an angry reaction among those still on the streets to celebrate the Splash festival. Hundreds gathered round as the police bundled the suspect into the back of the van with one man asking ” have you learnt nothing from Tottenham?” The atmosphere is calm again now. The Guardian’s Paul Lewis has filed this from the scene of another outbreak of disorder in Enfield: Around 100 mainly teenagers were stood by the station, which was being guarded by riot police. In unison they all started moving, toward Church Street. There must have been more than 20 who smashed a jewellery store and entered. They scarpered less than a minute later, when riot police charged in. There were chaotic scenes as the crowd was charged by police striking with batons. Around 20 dog handlers were on the scene. “Get back. You’ll get bitten. Get back.” In the melee I saw bystanders get hit. 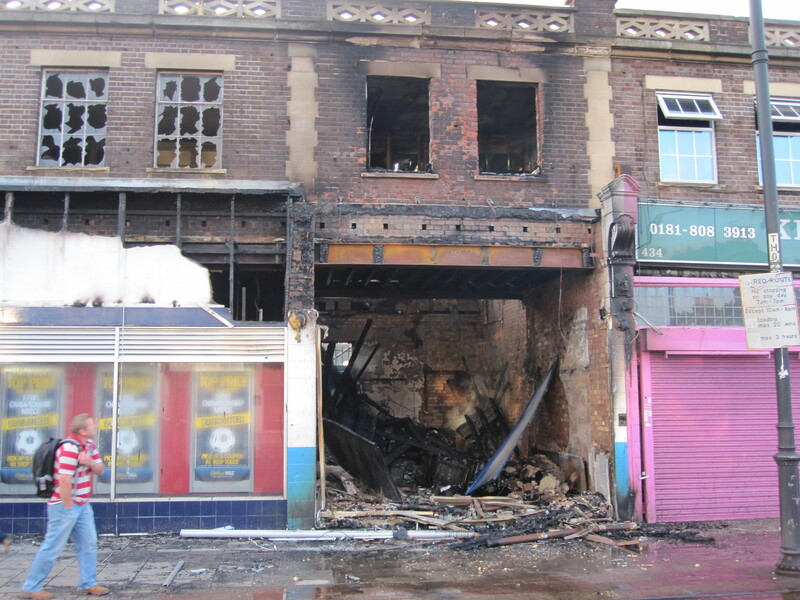 Five minutes later a betting shop and pharmacy further down the road were smashed. Police horses are now in the town centre, which has a heavy police presence. Looting is going on in Brixton, unhindered by the police, according to the Guardian’s Matt Taylor. At the scene, he witnessed a couple of hundred people taking goods out of Footlocker, which has now been set on fire. Some left on bicycles while others passed it to friends in waiting cars. A police helicopter is circling overhead while police on the ground have congregated on side street close to scene but have not yet intervened. Those taking part in the looting are aged in their teens or early twenties. Walthamstow can be added to the lists of areas where there have been disturbances tonight. A resident from there has just called the Guardian to complain that the media are not focussing on trouble there. 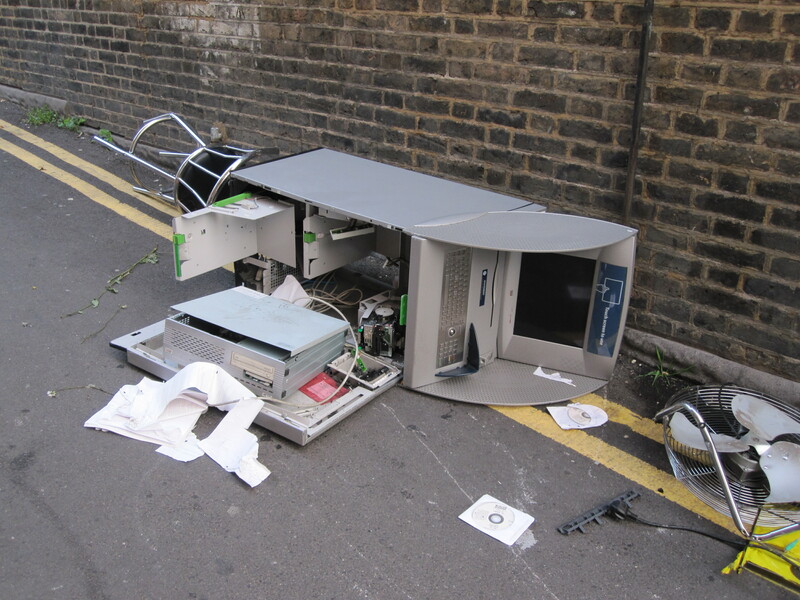 She claimed that at a Barclays cashpoint was targeted. Local MP Stella Creasy has been out and about assessing the situation and tweeted that twitter rumours about more serious clashes were proving untrue. She said earlier however that trouble had been breaking out, and asked local people to steer clear of the town centre. Violence and looting spread across some of London’s most impoverished neighbourhoods on Monday, with youths setting fire to shops and vehicles, during a third day of rioting in the city that will host next summer’s Olympic Games. Skirmishes broke out between police and groups of youths across Britain’s capital, and also spread to the nation’s central city of Birmingham — where police said dozens of people were involved in damaging shops across the city centre. 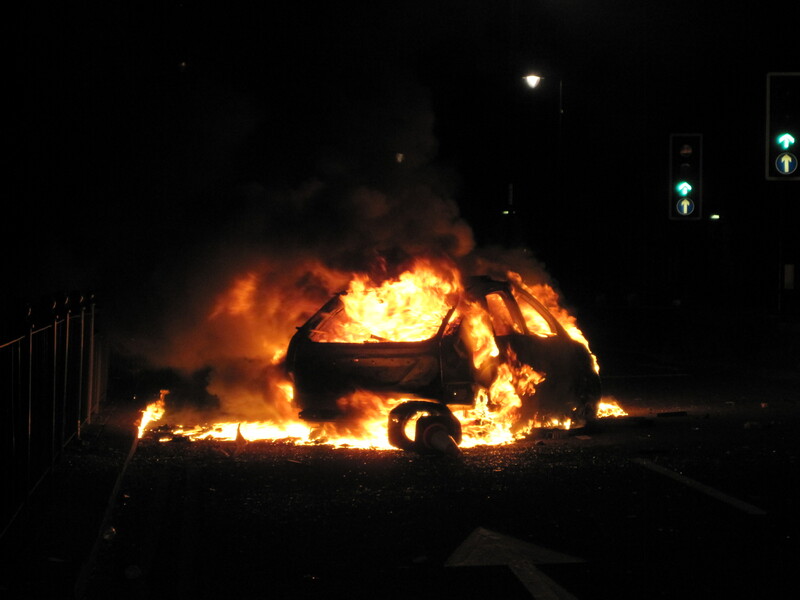 In the Hackney area of east London and districts in the city’s south, vehicles and buildings were set ablaze as authorities struggled to halt groups of rampaging young people. Hundreds of youths attacked shops and set fire to cars in Hackney, while police in riot gear were pelted with fireworks, bottles and lumps of wood. Thick smoke billowed from a high street in the Peckham district of south London, where a building was set ablaze along with a bus — which was not carrying passengers. In nearby Lewisham, lines of cars were torched. Prime Minister David Cameron is on vacation and his office said he had no plans to return early. Home Secretary Theresa May, the cabinet minister responsible for policing, and London’s Mayor Boris Johnson cut short vacations in an attempt to deal with the crisis — while police confirmed they had made more than 200 arrests. Despite the arrests and the deployment of hundreds of reinforcements, police appeared unable to contain the spread of the rioting, which began Saturday night amid community anger over a fatal police shooting. Mark Duggan, a 29-year-old father of four, was gunned down in disputed circumstances Thursday in the Tottenham area of north London. Though the initial unrest was sparked by Duggan’s shooting, some blamed unemployment, insensitive policing and opportunistic looting for the worst violence the city has seen in years. Police and politicians insisted the disorder was the work of a criminal minority and not a sign of social tensions or security lapses ahead of the 2012 Games. In the hardest-hit area, Tottenham, many residents agreed that the looting was the work of greedy youths, aided by instant communication through SMS texts and instant messaging. “It’s nothing to do with the man who was shot, is it?” said 37-year-old Marcia Simmons, who has lived in the diverse and gritty north London neighbourhood all her life. “A lot of youths … heard there was a protest and joined in. Others used it as an opportunity to kit themselves out, didn’t they, with shoes and T-shirts and everything.” Tottenham’s main shopping street remained cordoned off Monday, with steam still rising from burned-out buildings, two days after violence broke out.